What’s your style? Preppy? Artsy? Hipster? 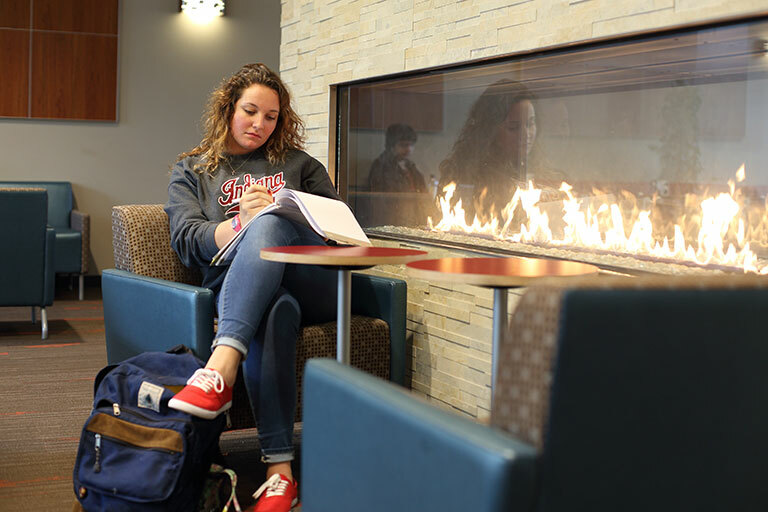 At IU, you’re sure to find a residence hall and dining options that fit you to a T.
We have plenty of traditional residence hall options, with shared rooms, communal living spaces, and handy food courts. You’ll also find apartments for those who need some space, private rooms for those who tend toward the introverted side, and co-op kitchen facilities for those who want to cook their own food. To make sure you get the most out of your IU experience, first-year undergraduate students are required to live on campus. Whether you want to live in an environment that emphasizes academics or you just want to share space with people who share your passions, you’ll find what you’re looking for in our Learning Communities. You can choose from more than 20 communities in two categories; Living Learning or Thematic. Each offers specialized programming and, best of all, people who understand you. Barry speaks: Spectrum is a brand new thematic community, and it started off when we started thinking about what are some ways to be more supportive of our students who identify across the gender spectrum and the sexual orientation spectrum. Steven speaks: It’s important for IU to have this kind of community—especially for incoming freshmen, wanting to have that safe environment. 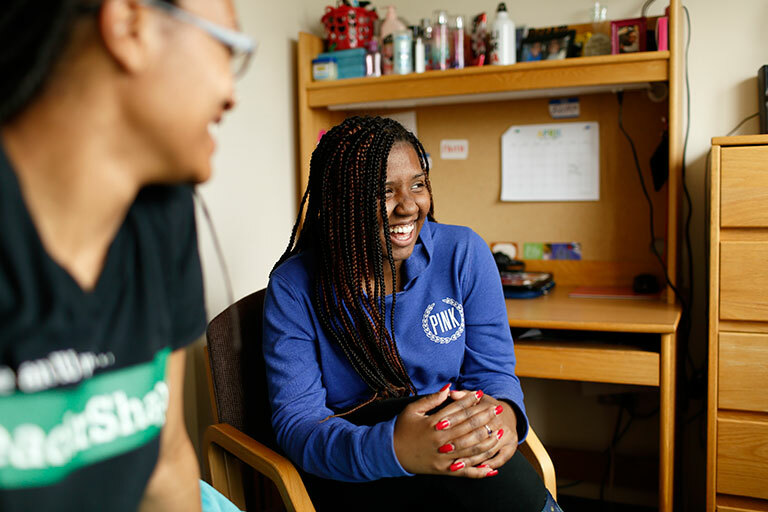 This really helps transition them into the IU community because it gives them a safe environment where they they will know that they will be accepted. Barry speaks: One of the reasons for choosing Teter, first and foremost, is that it has single occupant bathrooms; and two, we found a small enough floor that we could start off with the small enough group that makes it feel fairly intimate. Steven speaks: Currently we have about 20 students with several more moving in. We are hoping to have the floor filled by the end of the year with an exception: we will have some emergency rooms just in case there are any incidents on the within the IU campus. Barry speaks: Four other Big Ten institutions already have LGBT thematic communities or living learning centers. We really do want to make sure that we are providing as many options as other institutions in our area. Steven speaks: So far it’s been really great. People have been very friendly. I’ve been able to do a lot with the community. Barry speaks: It’s really not geared towards just thinking about LGBTQ ally issues. It’s really looking at the spectrum of gender and sexual orientation, so not just those who identify across those spectrums, but to also consider and have conversations about what does this mean, what are all of the places across those spectrums that many of us never even talked about or know anything about. Steven speaks: To me, having this community available lets people like me in the queer community have a safe space so that we have a place that we can call home. It’s really just an opportunity for people to find where they want to be. IU Dining serves everything from hearty breakfasts to midnight snacks in its many locations across campus. 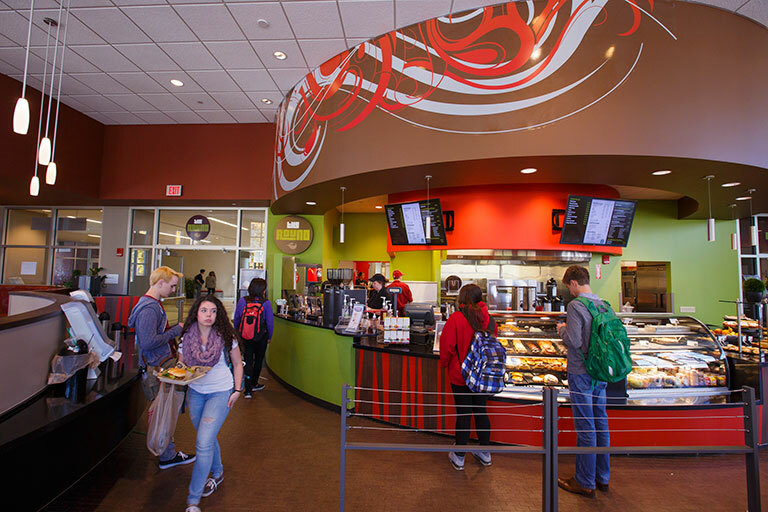 Although most IU Dining facilities are located in residence halls, it also makes healthy (and not so healthy) snacks available in classroom buildings and library facilities through its Campus Cafes. Whether you’re longing for some Starbucks, craving a healthy salad, or hungry for something sweet, the IMU has what you want. IMU restaurants aren’t included in RPS dining plans. But you can use the money on your CrimsonCard to get discounted meals and snacks. There’s a reason Bloomington continues to show up in top-10 food city lists all across the Internet. The food here is delicious. You’ll find the usual pizza places and pubs. But you’ll also find tons of ethnic eateries, and dozens of restaurants that emphasize local food. Looking for somewhere to live off campus? You have plenty of options in Bloomington. You’ll find everything from budget studios to luxury apartments, and houses of all shapes and sizes.